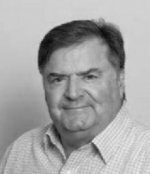 With over 40 years’ experience, Anthony is an advisor, investigator and auditor in relation to contaminated site assessment and remediation; hydrogeology and groundwater resources; landfill life cycle; ground gas/soil vapour; risk assessment and communication as well as environmental approvals and management. Recognised as a leader in his field, Anthony has worked extensively on projects across all states in Australia as well as in New Zealand, Oman, Pakistan, Papua New Guinea, Philippines, Thailand and Vietnam. Anthony is an EIANZ-accredited Site Contamination Specialist and also a highly sought-after environmental site auditor holding registrations in Vic, NSW, ACT, SA and WA. Anthony’s appointment adds to the ‘bench strength’ of SLR’s international Land and Water group, which is now the largest technical area for the company, with over 260 professionals in the global team.